These downsides are what often drives home owners away from carpets as not everyone is willing to put in the time and effort needed to keep a carpet clean. So how do you go about the menacing task of cleaning your carpet, anyways? Without professional help, you'll be stuck with a fair bit of trial and error as you seek out the best cleaning solutions and methods for your individual carpet. As it happens, carpets don't always survive this process – when they do, they're easily left looking and feeling much worse than before. To even think about cleaning your carpet well, you'll also need a cleaning routine you can adhere to. We don't mean vacuuming the carpet whenever it looks dirty – instead, think of carpet maintenance as any other activity that deserves your undivided attention. Some home owners might need to introduce lengthy vacuuming sessions as often as twice weekly in order to keep their carpets in pristine shape. Sounds hard already, right? Even when you have your cleaning schedule down and are taking all the right steps, dirt and grime can still find their way past your efforts. When they do, there's no guarantee that you'll be able to restore your carpet without causing some damage in the process. Fortunately for you, there's people willing to provide assistance with this difficult chore: we've been offering all kinds of Corpus Christi carpet cleaning for a while now and we'll be able to assist you no matter how bad things have gotten. Did your pet really make a mess this time around? Did you have a spill that you just can't see your carpet coming back from? Are you facing another carpet issue that could benefit from a professional scrub? Corpus Christi Carpet Cleaning Pros are the best in the business: no matter the amount of work we have on our hands and the types of carpets we're dealing with, you can expect only the finest results out of any professional you could find. Part of our day-to-day success comes from a clear-cut method that we follow at all times. That isn't to say we never improvise: Corpus Christi Carpet Cleaning Pros technicians are masters of improvisation and are able to handle any unexpected carpet issue that comes their way. With that said, there are plenty of benefits to reap from adhering to a strict system. To us, every good carpet cleaning procedure starts way before the actual rinsing: in reality, the work starts with a thorough inspection. To continue providing the best Corpus Christi carpet cleaning available, our inspection doesn't just focus on the carpet as-is – we also try to view the piece in abstract terms, thinking about factors such as the carpet's age or the habits of its previous owners. While it might seem trivial, this helps us avoid any accidents as our work progresses. After feeling confident in our assessment of the carpet, it's time to slowly start the cleaning process. Before adding any moisture, blow-drying and vacuuming are good ways to eliminate excess dirt and save ourselves additional effort later on. Furthermore, this form of dry hand cleaning preserves the carpet's fabrics and makes them less susceptible to washing damage. Once enough bits and pieces have been dislodged, it's time to add some water to our Corpus Christi carpet cleaning procedure. We can't say for sure how long we'll clean your carpet, what detergents we'll use or even what the exact cleaning techniques will be – without inspecting your carpet first, there's no way to know the cleaning essentials. However, you can expect a good deal of hand washing to be involved no matter the carpet's individual issues – regardless of advancements with cleaning machines, we consider hand washing by professionals to be the best possible method of eliminating dirt while preserving a carpet's colors and textures. Drying the carpet off will tell us how we did our job and whether any repeats are in order. Usually, we're all done after the first go and our customers are supremely satisfied with their squeaky-clean carpet. 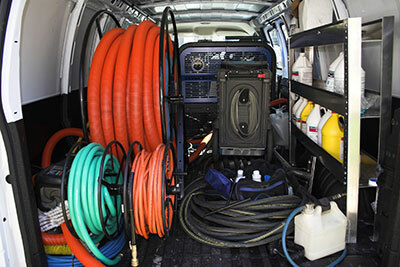 Should any dirt or odor persist after the cleaning, however, our technicians will repeat the method from start to finish while paying special attention to the stubborn parts – no matter how long it takes us, we'll ensure that each and every customer parts ways with us feeling satisfied and taken care of.